There are 55 designers, 51 shows, 7 presentations, 7 special projects, 2 lecture platforms in 5 days, illustrating the super power of Ukrainian fashion. "We have already defined our goal:" Ukrainian Fashion Week is the place where Ukrainian becomes global". We are making the next step in the development of the Ukrainian fashion industry and we consider it as an important component of world culture and economy, "- said Iryna Danilevska, co-founder and head of the Ukrainian Fashion Week Organizing Committee. One of the main missions of the Ukrainian Fashion Week is to present talented Ukrainians to the world. Ukrainian Fashion Week continues to develop real and fruitful cooperation with the international professional community to create new opportunities for designers and to promote Ukrainian fashion labels in the world. 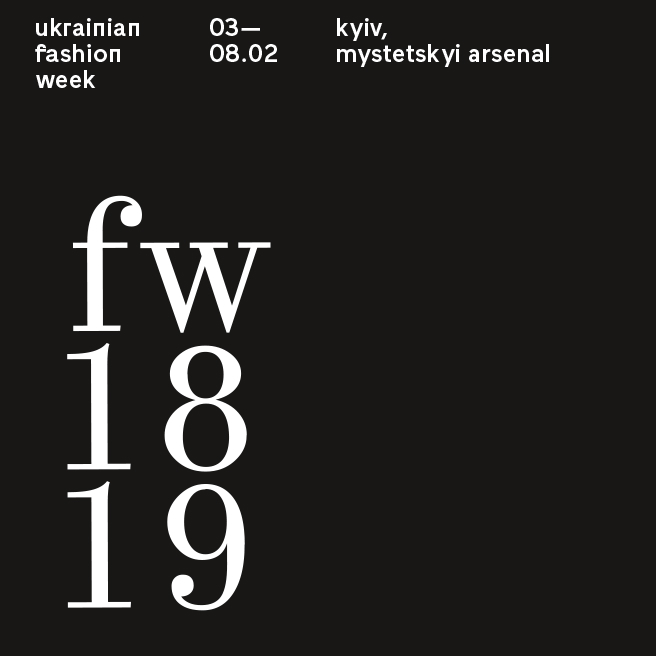 Every season, the UFW Organizing Committee invites journalists and photographers from leading world editions, stylists and buyers to Kyiv. About the collections of Ukrainian designers will write Vogue USA, Vogue Italia, Vogue Russia, i-D Italy, Schön! Magazine (UK), NOWFASHION France, Elle Italia, L'Officiel France, L'Officiel Russia, ZOE Magazine Italia, Fuking Young France, Pairs Project France and etc. Luisa Via Roma (Italy), Lane Crawford (Hong Kong), Rainbowwave Showroom (UK), NANA SUZUKI Showroom (UK) will visit fashion shows of Ukrainian designers. 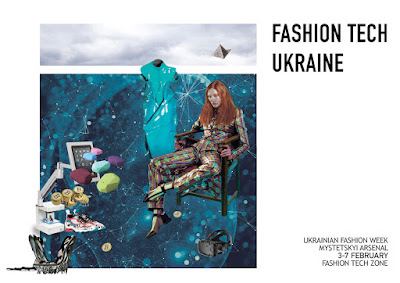 Ukrainian Fashion Week holds international business programs for Ukrainian designers with foreign mentors and involves designers to the state program of export development. Within the framework of the Ukrainian Fashion Week partnership with the DHL logistics company and the Ministry of Economic Development and Trade of Ukraine during the Fashion Week, a round table will be held. The Mystetskyi Arsenal will also host the first part of the Fashion DNA digital project, supported by British Council Ukraine. Ukrainian Fashion Week presents a new format of the showroom in Mystetskyi Arsenal representing 14 brands of clothing, footwear and accessories: ALXNDR LEN / RYBALKO, CIRCUL, FEENCHES, GRIE, HONCHARENKO, IRARO, LONA PRIST, MARSALA, THE MONOCHROME, MARSALA, NIT.KA. SNESHANA NEKH, UK DESIGN, WHITE DOG. 180 square meters space #Showroom will have its own unique concept, designed by Igor Musienko – interior designer, architect, artist and founder of musienko studio. The concept of the space will be embodied in the industrial style with the furniture of the Ukrainian manufacturer MON-BON, the designer's furniture of the studio Solmaz Primavera and Igor Musienko's contemporary art painting. Guests will be able to register at fashionweek.ua and receive an e-invitations to visit #Showroom from February 3 to February 7. It’s free of charge. On February 6, the practical platform "MASTERING SALE " will take place in Mystetskyi Arsenal. Speeches of experts on the practical platform "MASTERING SALE" will be devoted to the organization of effective sales in the fashion industry. 9 leading Ukrainian retailers will share their experiences and tell about B2C sales, online, offline sales and the development of omnichannel formats. You can listen to the speakers of the practical platform free of charge after registration on the site fashionweek.ua. For the second time the Epson Digital Fashion Contest will be held in Ukraine by Epson and Ukrainian Fashion Week. The contest is international and aimed at fashion designers who want to create their own prints. During the competition, Epson will open up a wide range of printing opportunities on fabrics. The winners will be awarded with valuable prizes and will get an opportunity to create their own collection of fabrics printed on Epson widescreen printers. The finalists of the competition will be presented on the pages of ELLE UKRAINE magazine. The terms of the contest and the start of the competition will be announced on February 7 at 7:00 pm at the Mystetskyi Arsenal. 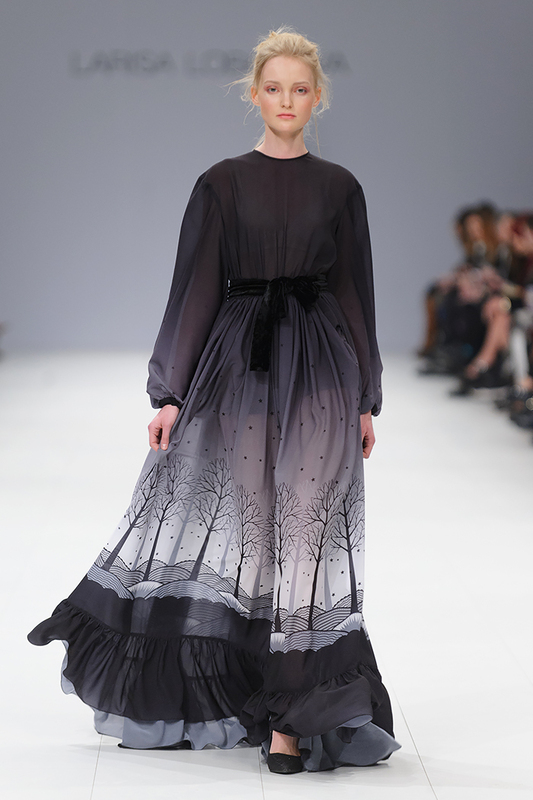 The collection of last year winner Kateryna Kravchuk (KRYHITQA) will be presented. Fashion Tech is one of the most promising way of fashion development. Ukrainian Fashion Week and the public initiative of Kyiv Smart City launched the Fashion Tech Ukraine platform dedicated to innovative technologies in the fashion world in 2017. During the Ukrainian Fashion Week the special demo zones in Fashion Tech Ukraine Space will present new technological opportunities in the fashion industry. 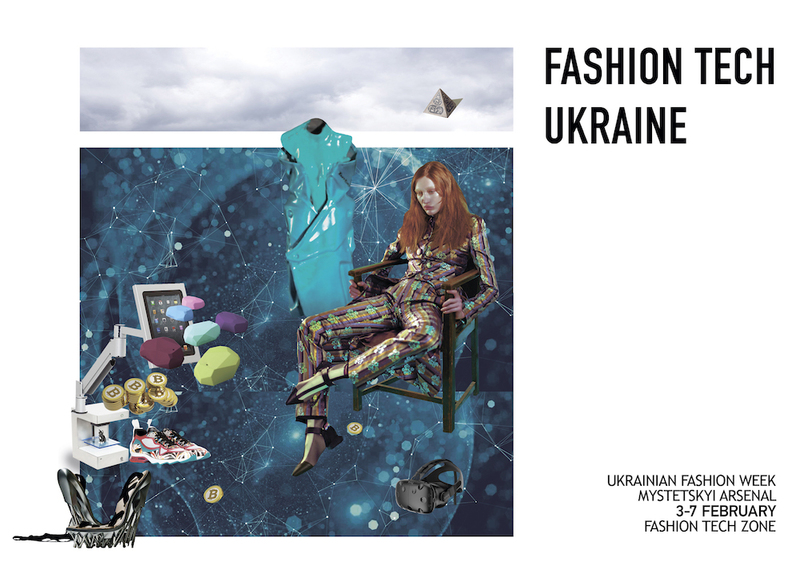 Fashion Tech Ukraine platform will discuss the issues of sustainable fashion consumption and ways to solve the problems of fast fashion, with the help of innovative technological solutions. This season, within the framework of the Fashion Tech Ukraine project, a free lecture program was launched. You can visit lectures by registering at fashionweek.ua. Ukrainian Fashion Week and Kyiv Smart City are open to cooperation with fashiontech-projects that will act as "agents of change" - not only realizing real transformations in the market, but also forming social capital.